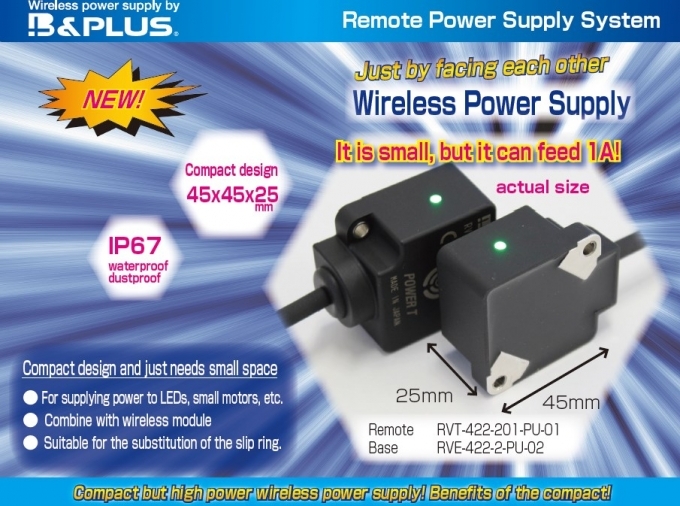 A 45 x 45 x 25 mm compact size wireless power supply system has been newly released. Just facing each other, it supplies 24V1A to the connected device. Even if it is small size with 45 x 45 x 25 mm, it can supply high power. ■For supplying power to LEDs, small motors, etc. 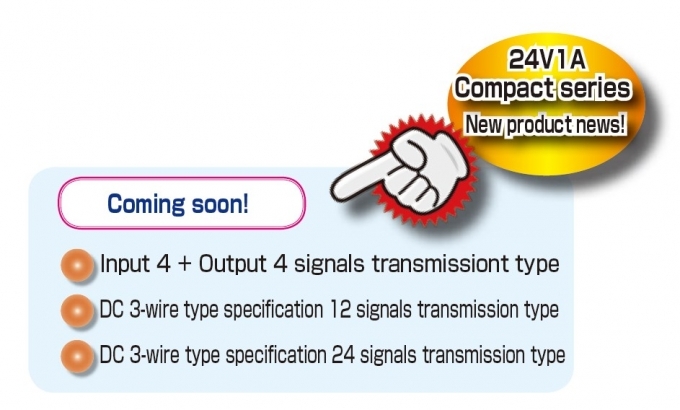 ■Suitable for the substitution of the slip ring. More convenient using with conventional remote sensor! Although we may ask for “want to separate sensor power supply and power supply for safety measures” and “want to use as auxiliary power supply”, It is also possible to combine the conventional remote sensor with a newly released compact power supply system. Further more detailed specification can be seen from here.